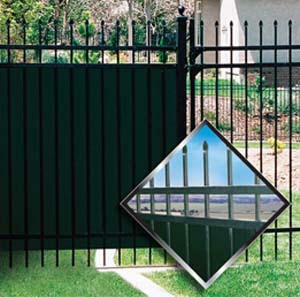 From the company that has brought you the largest variety of chain link enhancement products, comes the most innovative and efficient means of providing privacy on Ornamental Fence Systems. Whether the system is aluminum or steel, welded or component, the OP™ Panel provides economical and easily installed privacy for complete or partial portions of an ornamental system. 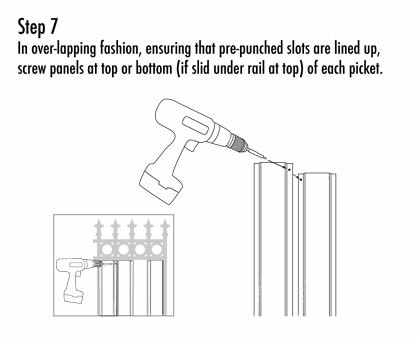 DESIGN: The OP Panel is designed to work with 5/8", 3/4" and 1" pickets, with 4" inside-to-inside picket spacing. Each panel is also pre-punched for screw alignment. 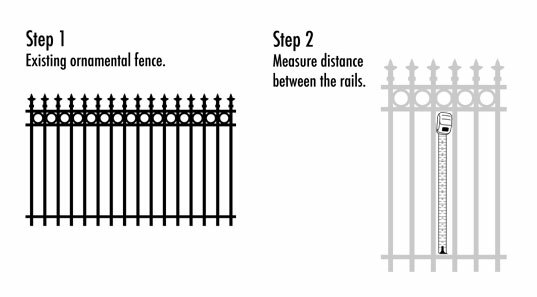 This unique design allows for a secure attachment to the fence system while maintaining the elegant ornamental design. 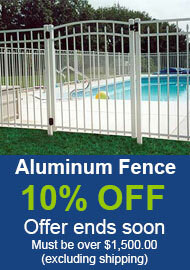 DURABILITY: This product is produced with a very durable, outdoor grade, rigid PVC containing UV inhibitors. It also comes with pre-punched holes for attachment. 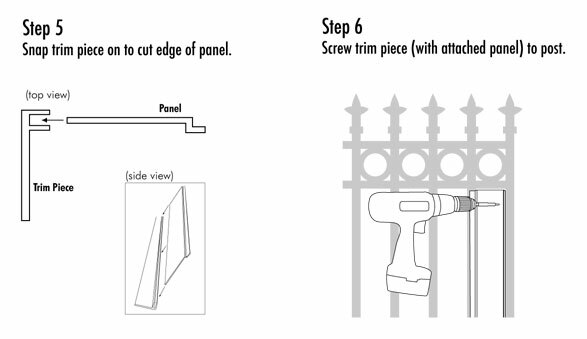 Using the self-tapping screws, this product will literally become part of the fence system, providing privacy and enhanced beauty for many years. We highly recommend the use of larger and/or heavy wall posts whenever the OP Panel is installed. MAINTENANCE: This material is impervious to chemicals and environment conditions. Cleaning is simply accomplished with a high-pressure spray, garden hose, or regular household detergents. Armor All can also be used to enhance the appearance. MATERIALS: The OP Panel product is produced with a very durable, outdoor grade, rigid PVC containing UV inhibitors, specifically designed to retard the harmful effects of the sun and lengthen the life of the product. Each box contains 20 panels which will cover 8 linear feet. WINDLOAD DISCLAIMER: Responsibility rests on the owner/installer to ensure that the supporting structure is of adequate strength and is properly maintained in order to withstand any additional forces, such as wind, which will result due to the increased surface area upon installation of OP Panels. LIMITED WARRANTY: OP Panel carries a 10-year, pro-rata warranty against breakage under normal conditions.